This badge was issued to Valter Popeskic on 08 May 2017. 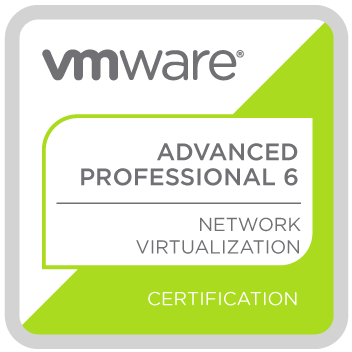 The VCAP6-NV Deploy certification validates a candidate's skills and abilities in the implementation of a VMware NSX solution, including deployment and configuration of VMware NSX components as well as utilizing the NSX manager to create, manage and deploy a virtual network. Candidates should also be knowledgeable about optimizing and troubleshooting all components of an NSX implementation.